Being the “Other” on College Campuses. With all the protests on college campuses around the nation and the reactionary death threats, there have been many people talking about what it means to be “the other” on campuses. Students shared what it’s like to be black at Mizzou with HuffPo and others shared their own experiences on the hashtag #BlackOnCampus. While college campuses are starting to be more and more diverse, there are still plenty of microaggressions that occur based on different identities and the racial gap that exists at Mizzou is unfortunately typical on many other campuses. April Carroll wrote about joining the student protests to fight racism and learned first hand how deep prejudice runs. Social media platforms like Yik Yak opened up ways in which people have been able to post death threats, microaggressions, and general threats. 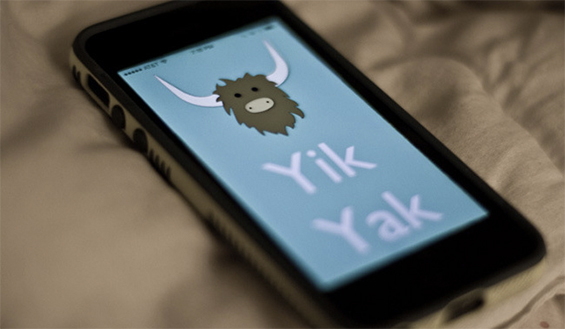 Places like Michigan and Missouri have already had several arrests because of terrorist threats on Yik Yak. And while Yik Yak may not encourage racism and threats, it definitely helps to enable them. And there have been other issues like heterosexism, homophobia, misogyny, ableism, etc on college campuses before. In 2013, Alex Worthley received disciplinary repercussions from his school after reporting his homophobic roommate for repeatedly threatening him and a year before that, Domenick Scudera wrote about how college life might not be that much better for gay students than decades before. All of that doesn’t even begin to factor in being gay at different Catholic universities. Andrew Longhi wrote about how he would not transfer because his university wasn’t able to handle discrimination, particularly highlighting how telling activists to just leave is unhealthy and misplaced criticism. Telling students to leave, to just transfer after calling out and criticizing college administrations and campuses does absolutely nothing but uphold the status quo. It allows for the powerful and positioned – the ones who benefit from racism, sexism, ableism, classism, etc – to stay in their comfy seats and never face the uncomfortable truth that they got there on the backs of others. Ultimately, I am here for safe campuses and for all people to not only be able to study at universities if they want but to feel and actually be safe on them. And all of what I’ve written about now doesn’t even touch the issues of sexual assault on college campuses and how administraions handle them. These issues that threaten the lives of students and the rest of society need to not only be acknowledged but addressed in an effective way. I’m here for the end of the current status quo and the safety of all.